Announcing Tobgay's visit, the Ministry of External Affairs said his visit will provide an opportunity to advance the "exemplary ties of friendship" between the two countries. 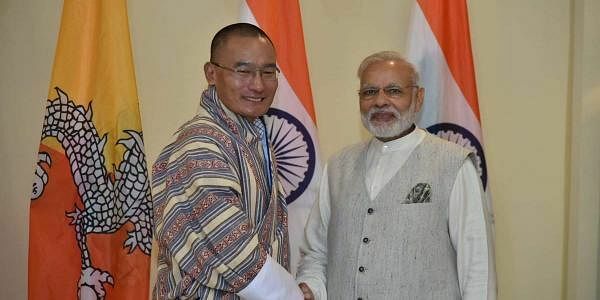 NEW DELHI: Bhutanese Prime Minister Tshering Tobgay will arrive here on Thursday on a three-day visit during which both sides are expected to deliberate on a range of issues including defence, security and strategic cooperation. Few days after Tobgay's visit, National Security Adviser Ajit Doval, Foreign Secretary Vijay Gokhale and Army Chief General Bipin Rawat had quietly travelled to Bhutan where they held extensive talks with the Bhutanese leadership on key strategic issues including the situation in Doklam. "The upcoming visit of Prime Minister Tobgay, during the Golden Jubilee year, will provide an opportunity to both the sides to hold discussions on issues of mutual interest, and advancing the exemplary ties of friendship for the benefit of the two peoples," the MEA said. It said India and Bhutan enjoy unique ties of friendship and cooperation, which are characterised by "utmost trust" and "mutual understanding". China and Bhutan are engaged in talks over the resolution of the dispute in the area. External Affairs Minister Sushma Swaraj and several other union ministers are also scheduled to call on the Bhutanese Prime Minister during his stay here.